I love to pair a chocolate brownie with whipped cream and strawberries, it's the best way to have it! Or even with very light and airy ice cream! Just like what you would get from the Toby Carvery! If you have had their chocolate brownie sundae you'll know exactly what I mean. I love this brownie as it uses 72% chocolate, unlike some brownies which use only cocoa powder. I absolutely love an intense chocolate brownie, and when I asked my boyfriend to try this he liked it but it was too chocolatey for him! So this is definitely one for those who love dark chocolate and anything which is very rich! My favourite part about a brownie has to be picking off the edges of a brownie and eating them first, they are so crispy and delicious! It's one of the best parts of it! 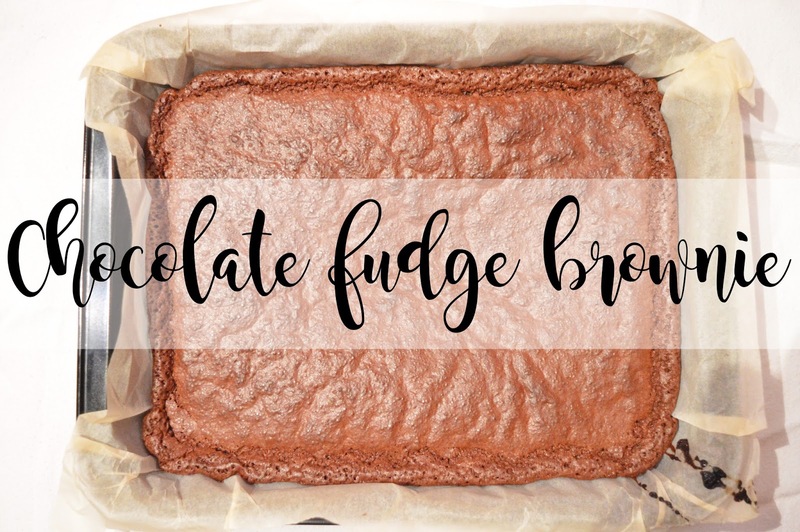 This recipe makes two brownies and they're fairly large brownies too! We cut each tray into 12 squares which means 8 slices of brownie each, hell to the yeah! Like I said, perfect for anyone who loves brownies! You get so much of it! Bake for 25 minutes or until the brownie has a slight wobble.